Optional UPS Overnight Delivery available! 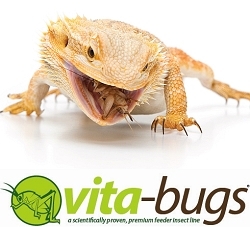 Mealworms are an excellent source of protein for a wide variety of pets. 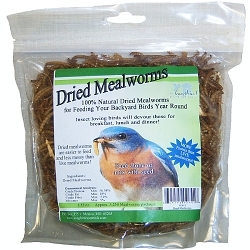 Wild birds, reptiles, amphibians and small animals will all benefit from a diverse but complete diet containing mealworms. 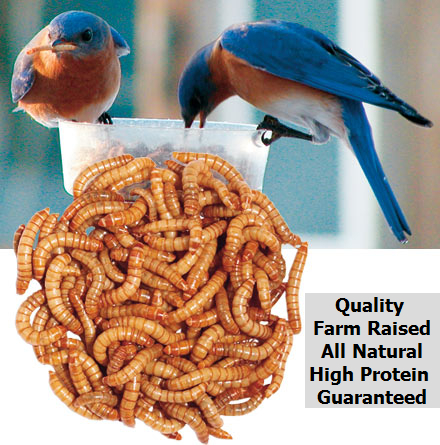 Manufactured foods cannot reproduce the natural nutrients and digestibility of all natural mealworms. 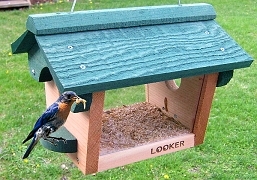 If you enjoy feeding wild birds, medium and large mealworms are great for attracting an incredible diversity of birds. 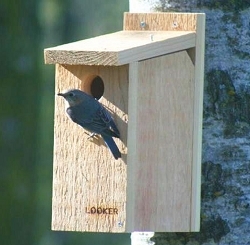 Placing a nearby nest box with water source is always recommended for attracting bluebirds and other insect eating songbirds to your yard. 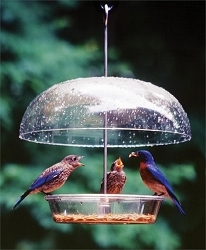 If baby birds or fledglings are being fed we suggest having small mealworms available. The ideal temperature range for storage is 42 degrees farenheit to 55 degrees farenheit. 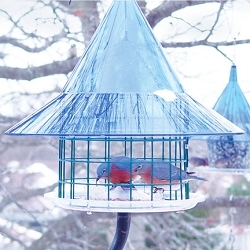 Refrigerated mealworms will live for several weeks when Care Instructions are followed properly. Our live mealworms are available in five sizes: Mini (up to 1/4"), Small (1/4" to 1/2"), Medium (1/2" to 3/4"), Large (3/4" to 1") and Giant (1-1/4" to 1-1/2"). 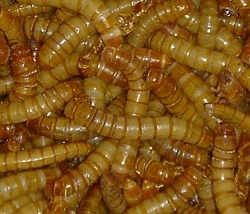 Mealworm sizes are approximate and will vary. Please specify desired size when ordering. Additional charges for large and giant mealworm sizes. Orders Shipped via USPS Priority Mail or UPS Overnight Service - Order by 9:00 PM Eastern Time, and we will ship your order the next business day (Monday - Thursday only). Optional UPS Overnight Delivery Service available (Select at checkout). Our central location in the heart of the country allows us to provide high quality and flexible customer service to all U.S. locations. 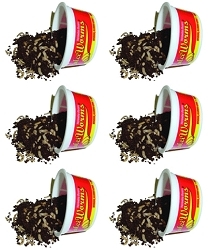 We do not ship live mealworms to Hawaii or Canada due to customs or agricultural restrictions. 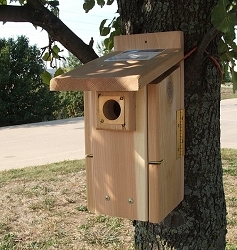 Note: Live mealworms must be shipped separately. Additional shipping charges may be added to invoice after checkout, if combined with other items in our store on the same order. We will email you to confirm if any additional shipping charges are required. 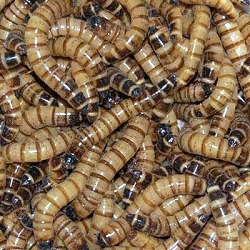 Mealworm Bedding - Our bulk mealworms are shipped without bedding. 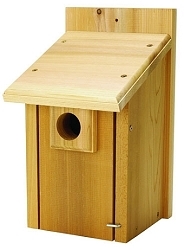 You will need to provide your own mealworm bedding upon delivery and place the mealworms in a ventilated container for storage. We suggest using wheat bran, corn meal, or a mix of both with a layer of shredded newspaper or egg crate. 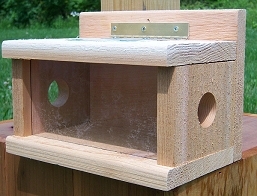 For your convenience we have optional mealworm bedding available at checkout. Our quality mealworm bedding is the same proprietary material used at our mealworm farm and is packaged in generous 2, 4, 6 and 12 lb bag quantities. Mealworm bedding is shipped separately. UPS Ground shipping and handling charges are included in price at checkout. Nutritional Quality - Our mealworms are tested for nutritional value to assist the customer in providing a diverse and healthy diet. The nutritional make up of a mealworm is approximately 60% moisture, 20% protein, 14% fat, 5% other, and 1% ash. 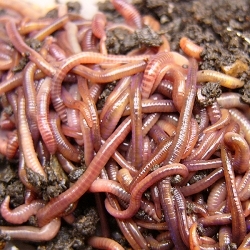 Bulk Red Wigglers 2 lb.